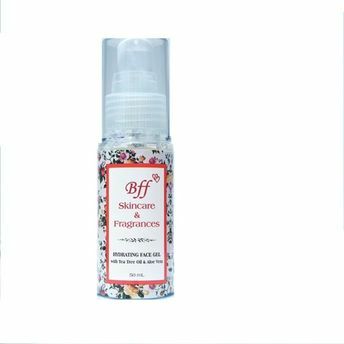 Get instant soothing and refreshing effect with BFF Skin Care's Face Gel. It has a smooth and soft texture that spreads easily on skin and moisturizes skin from deep within. It contains anti-inflammatory properties that keeps acne and other skin problems at bay. Aloe Vera: With over 90% of water content, along with amazing Anti-oxidants, hydrates, nourishes & rejuvenates the skin. Tea Tree Oil: Known for natural skin treatments. It possess anti-microbial and anti-inflammatory properties and hence helps to reduce acne and other skin problems.